Have you ever had one of those goals that you just can’t seem to reach? Like no matter what you do, you’re always falling short. Trust me, friends, I’ve been there! 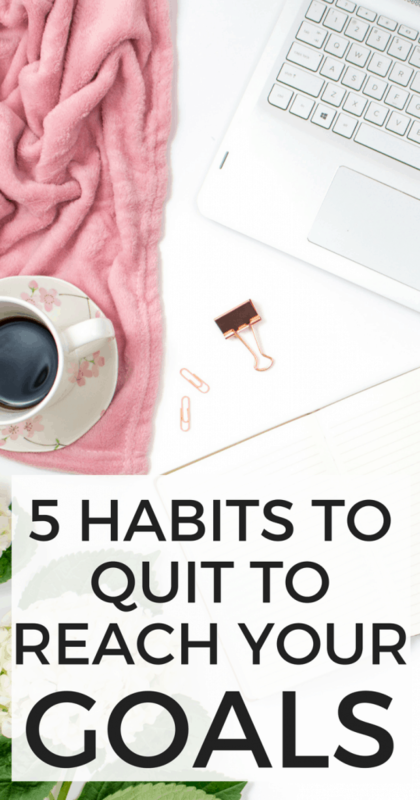 In this post, I’m sharing a few bad habits that it’s definitely time to quit – because they might be stopping you from achieving goals! This is probably the biggest and most obvious hindrance to reaching any goal, and definitely worth discussing. We all procrastinate on our goals, however, not all forms of procrastination are created equally! Sometimes our procrastination comes from a place of laziness or a lack of motivation. 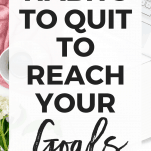 You know what your goal is and you know how to accomplish it, you just aren’t that motivated to do so and find yourself binge-watching Netflix when you could be working toward your goal. If you constantly find yourself procrastinating this way on the same goal, it might be time to rethink the goal and decide if it’s something you’re really excited about doing. 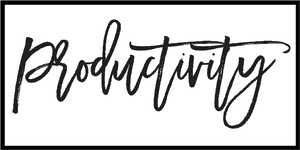 You procrastination might instead come from a place of being super excited about your goal, but also super overwhelmed and not sure where to start. It’s totally normal to feel this way when you’re tackling a lofty goal, and I’ve definitely been there! 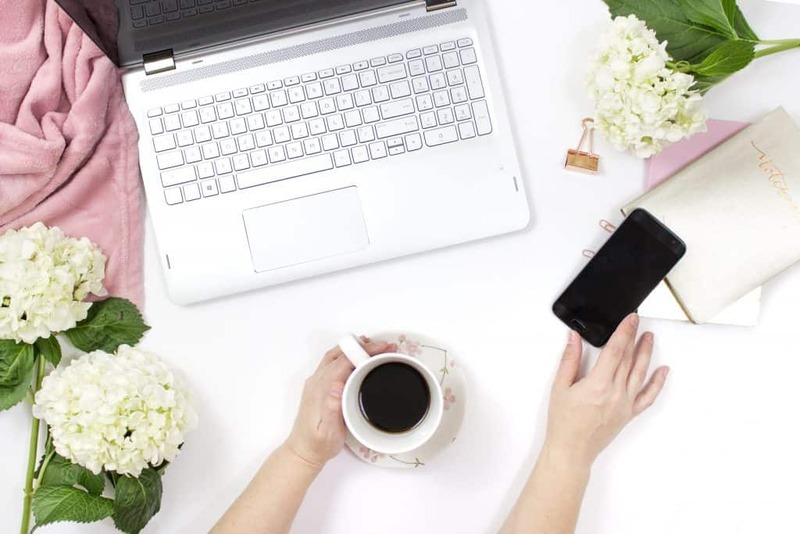 The best way to tackle this is to break the goal down into as small and as specific of tasks as possible so you have truly actionable items you can add to your to-do list. Have you ever heard the phrase “done is better than perfect”? Yeah, there’s a reason for that. As awesome as it would be to get your work perfect every time, that’s just not realistic. If you refuse to finish a goal until you reach the standard of “perfect” then you’ll never get there. I’m not suggesting you accept subpar work from yourself, but just learn to acknowledge when you’ve done the best you can do, and be happy with that. If I never published anything until I knew it was perfect, I would never publish anything at all. More often than not, perfectionism is just a form of fear or procrastination. Once you realize that, it will be easier to overcome! And honestly, sometimes your real, raw, honest work is going to be a lot more relatable to people than work that has been edited and edited again repeatedly. If you want to reach your end goal, you need to have a clear vision of what that end result looks like. Rather than just adding arbitrary tasks to your to-do list, think of what your end goal is and work backward. For example, I knew I wanted to publish an eBook. I set a launch date for the book and then started working my way backward. 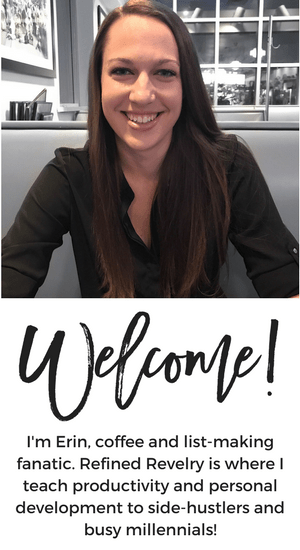 This helped me to know from the beginning when I needed to have my sales page done, when I needed to start promoting the book on my blog and social media, and when I needed to have the final draft of the book finished and ready to send out to those who purchased. Structuring your goals this way helps you to know not only what specific tasks you need to be tackling to reach your goals, but it also helps you to know why each task is important and when it should be done. As problematic as it is to not focus on the end result at all, it’s also bad to focus only on the end result! When you’re only thinking of your goals in the big-picture sense, it can get super overwhelming to figure out how to start tackling them. Once you’ve figured out what your end result is, it’s time to break that big goal up into a bunch of small, actionable tasks that you can add right to your calendar. So if one of your big-picture goals is to write an eBook, you can’t just add that to your to-do list. Instead, you would start with tasks like “brainstorm eBook topics” and “write eBook outline”. Just remember, any task that isn’t small enough and actionable enough to add to your to-do list probably isn’t going to get done! As exciting as it is to think of all the goals you hope to someday accomplish, focusing on too many goals at once can set you back in a big way. You can only divide your time and attention in so many ways, and focusing on too many goals can pull your attention away from all of them. Rather than focus on every single goal you want to accomplish, pick a few to focus on. Create actionable steps to create each of those goals over a period of time, and then when you’ve reached those goals, you can move onto the next goals. One great way to do this is to create 90-day goals for yourself. Every quarter, sit down and write out a few goals, and add actionable steps for each of them to your to-do list to finish in the next 90 days. When those 90 days have passed and you’ve reached those goals, set a new set of priorities for the next 90 days. This has helped me immensely because I always know what my focus will be for the next few months. 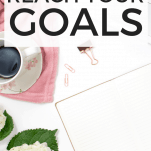 How many times have you written a goal down in a journal or planner, proud of yourself for taking the first step and ever so sure you’re going to reach your goal, only to forget about it later on? Don’t worry if this sounds familiar to you, we’ve all been there! I know for sure I have. One reason this might be happening is a lack of accountability which leads to a lack of follow through. Find a step that you can add to your goal-setting process that will create some accountability for you. 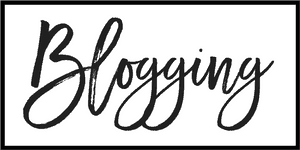 It might be setting a deadline for your goal, telling a friend about it, or even writing about it on your social media pages or blog (something I used to do monthly). Just setting a goal isn’t enough. You also need to work to make that goal a priority and focus on the follow-through. Some goals require a pretty significant time investment, and that’s something you’ll have to plan for in your day to day life. When I set a goal of writing an eBook, I knew it was going to take a ton of work and extra time. 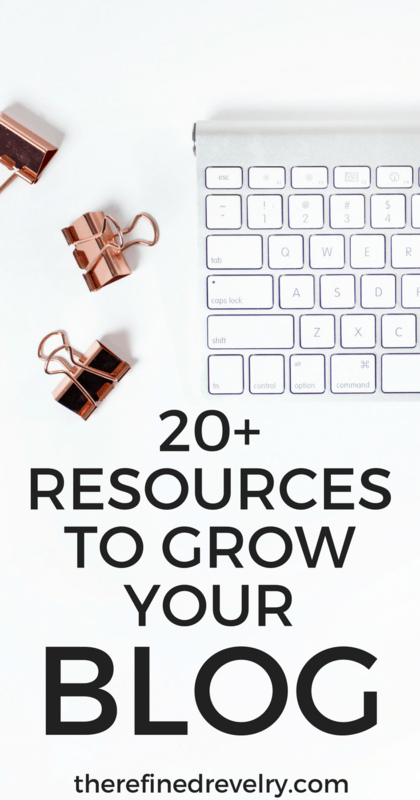 I already spend a lot of time each week on my blog, so I knew it would be a struggle to make the eBook a priority as well. But I set aside time in my schedule specifically for working on my eBook. And I didn’t compromise on that time because writing that book was something that was super important to me! If you’re struggling to find time to reach your goals, consider what else in your life you could temporarily cut back on to make time. Do you watch a lot of TV or spend a lot of time reading novels in the evenings? Pick a few nights each week to work toward your goal instead! 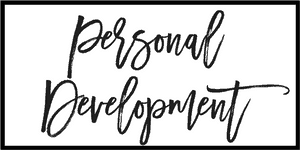 I can pretty much promise you that when you’re working to reach goals that are truly important to you, you’re going to hit setbacks along the way. Some might be smaller ones that allow you to quickly get back up, brush off, and keep going. Some might be larger and even require you to put your goals on hold momentarily. Regardless of what your goals are, you’ll definitely never reach them if you give up when you hit those roadblocks. Instead of letting that discourage you and lose faith in yourself, make a game plan for yourself for getting back on track and achieving your goals in spite of the setbacks you’ve faced along the way. The hard work you have to put in along the way will make your goals all the more worth it when you’ve finally reached your destination. A lot of struggle with achieving goals, and then we can’t figure out why! But these habits might be the problem! 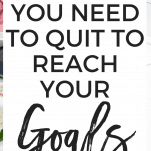 I would LOVE for you to leave me a comment and let me know what goal you’re working toward right now, and if any of these habits have been stopping you!